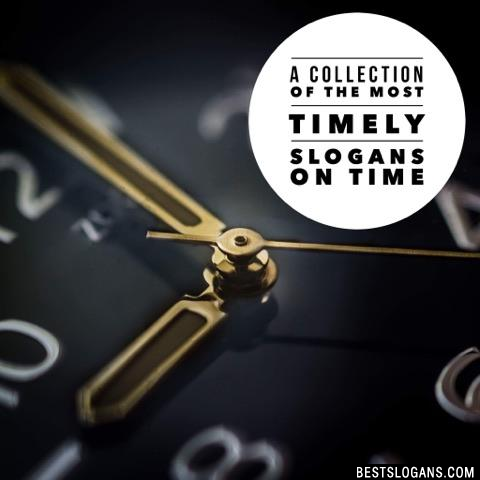 62 new entries added to time slogans, that include pictures. 1. No time like the present. 1 No time like the present. 2 Because Your Time Is Valuable! 6 There's always time to deal. 10 Time is of the essences. 11 Your time depends on you. 13 Where time is never wasted. 19 Just in the nick of time. Can you think of a good Time Slogans we're missing? Or come up with a clever one of your own. Please share below.